An educational shift has had school districts interested and moving full STEAM ahead in the areas of Science, Technology, Engineering, Art and Math (STEAM). Thanks to STEAM-related grants and funding, many schools now have an opportunity to bring innovation into their classrooms. From innovation labs and makerspaces to unique cross-curricular experiences, it’s evident that classrooms are changing in major ways, ultimately leading to positive student transformations as well. Recently, Charleroi Area School District received a $10,000 grant for the Inventionland Innovation Course, as well as $1,000 for materials, from Chevron and Intermediate Unit 1 (IU1). On today’s front page of The Mon Valley Independent, it was announced that Charleroi Area middle school students will be the first in their district to “explore their creativity and possibly become next-generation inventors” as they participate in Inventionland’s own project-based curriculum beginning this fall. Teachers Michael Flaherty, Kim McGinity and Howard Johnson will be the first group of teachers in the district to receive Inventionland training in order to implement learnings with their first group of 20 students. “They are the pioneers of this,” said Superintendent Dr. Ed Zelich. 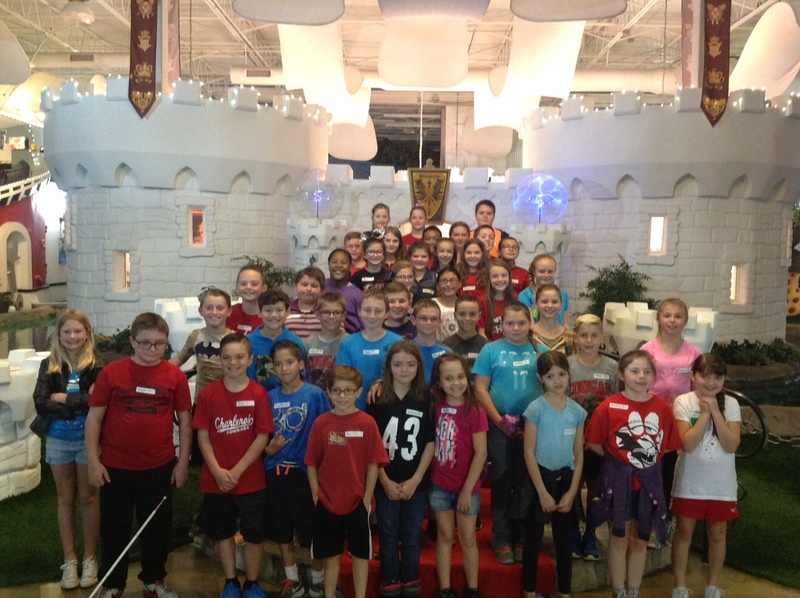 Several groups of students from Charleroi Area School District trekked through Inventionland for tours last May. “We look forward to bringing in the 20 students who will participate in the curriculum for a special tour. It’s always fascinating to see the looks on their faces when they get a sense of all that we create here at Inventionland on a daily basis. It’s our goal to bring that same sense of excitement into their own classrooms,” said Nathan Field, Executive Director of Inventionland’s education division. Congratulations to Charleroi Area School District!